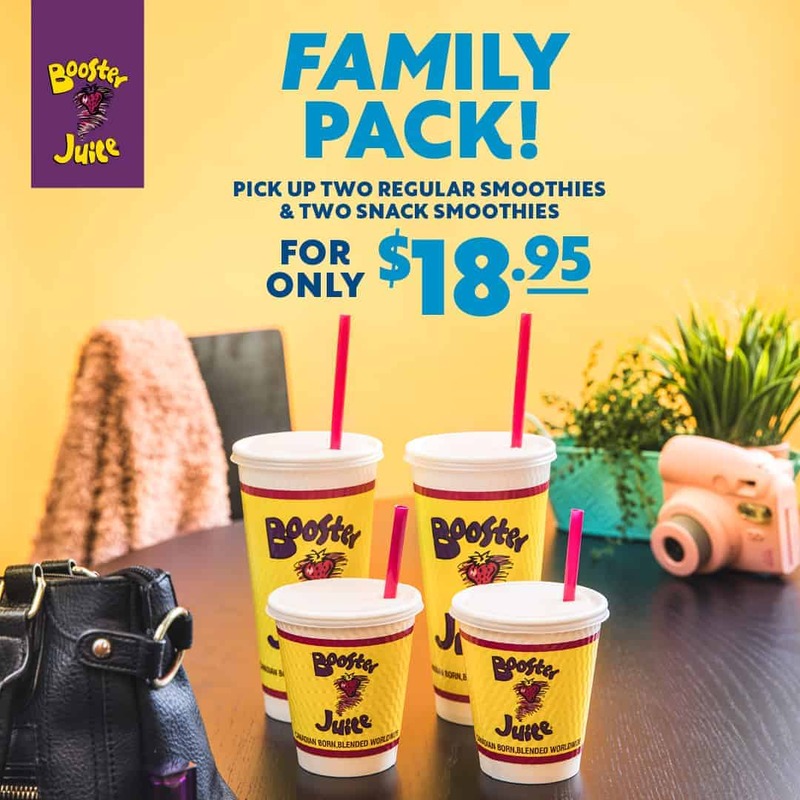 For the months of February and March, Booster Juice will be offering a Family Pack featuring two regular size smoothies and two snack size smoothies for $18.95! Check out the Fam Packed social media contest for a chance to win a vacation for four! Visit Booster Juice in the Food Court to take advantage of this offer!